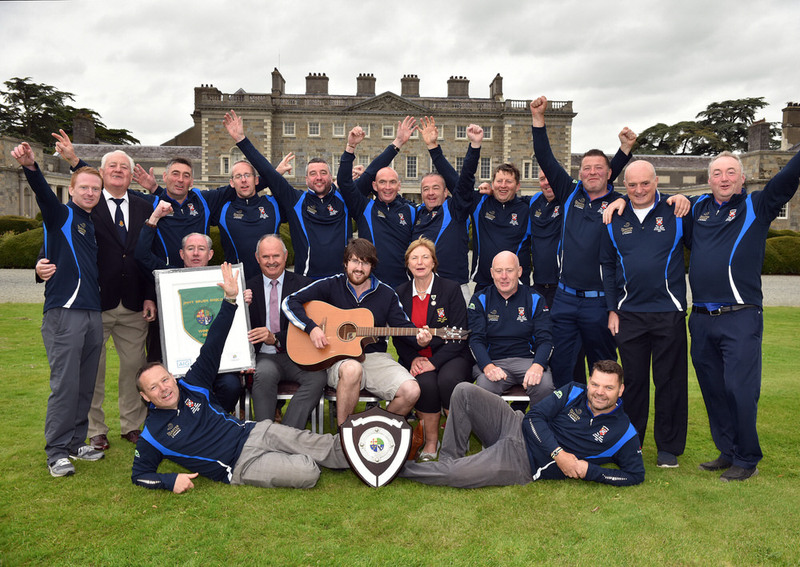 Galway washed away the pain of a third successive AIG Barton Shield final defeat when they claimed the AIG Senior Cup for the third time in 12 years with an impressive 4-1 win over Limerick at Carton House. Beaten by Warrenpoint in the elite foursomes event on Thursday, the men from the west were worthy winners in blustery conditions at the O'Meara Course when Ronan Mullarney got up and down from 60 yards for a half in par at the 17th to clinch the winning point with a 2 and 1 win over Michael Reddan. Seventeen-year-old Liam Power sent a youthful Galway side on their way with a 3 and 1 win over Owen O'Brien and after veteran Joe Lyons (45) beat Sean Poucher 4 and 3 and Liam Nolan (17) halved with Ciaran Vaughan, Mullarney sealed Galway’s win in style as 16-year old Luke O’Neill and Limerick’s Justin Kehoe were called in. "We wiped the floor with Portrush (in the semi-finals), and we gave Limerick a good beating again today, so we’re absolutely thrilled," said Galway captain, Kieran O'Mahony. "We have a fantastic group of players." Match-winner Mullarney said: “It’s huge. It is great to eventually win one. We were calling ourselves Mayo yesterday because we were getting to the final and not making it over the last hurdle. "It's a lifetime memory," Lyons said. "In 20 years' time, you will look back and say you won a Senior Cup with these guys, even though they are 20 years younger than me. "All the guys you win Senior Cup with, there's a bond. It's a lovely thing to win. It's a national title and in my mind, it's the purest form of club golf. There are no handicaps involved. 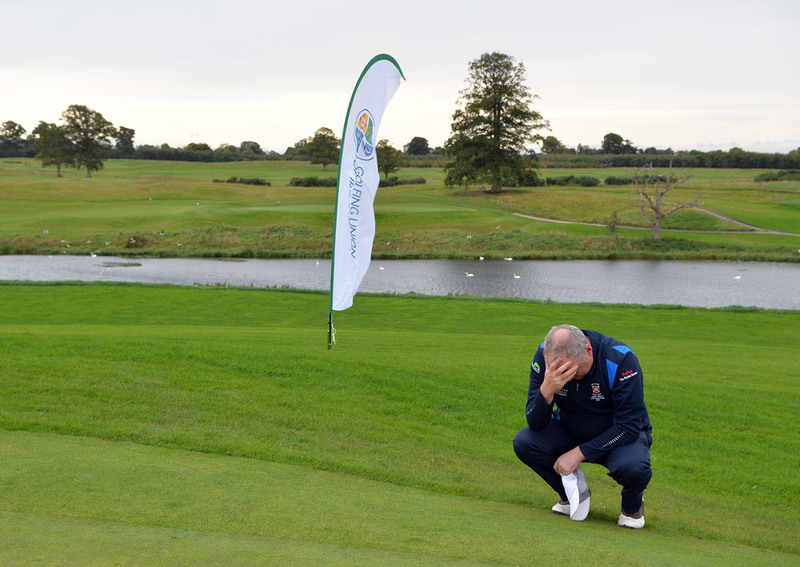 There is nobody building handicaps to play in Senior Cup and Barton Shield. "The teams and the golfers are genuine, and it's straight matches. It's the blue riband of club golf." As Galway and their supporters were singing, Castlebar were celebrating the first senior pennant in the club's 107-year history following their 3-2 win over Warrenpoint in an exciting AIG Jimmy Bruen Shield final. 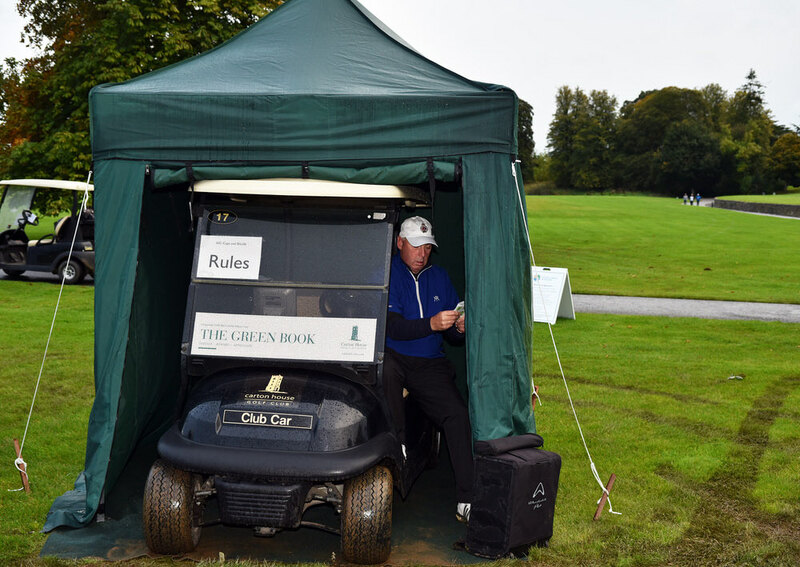 Mark Corrigan and Tom Moylett were two up with two to go against Stanley Weir and Eoin Durkin but despite losing both holes, Corrigan birdied the par-five 19th from eight feet to level the scores at 2-2. That left Senator Paddy Burke and Ray Prendergast, one up with one to go against Raymond Duffin and Eamonn Rooney, to clinch the title for the Mayo men. And when the Ulster champions opened the door by hooking their tee shot out of bounds, Burke and Prendergast made a safe bogey five to claim a two-hole win and the title. “We were beaten in the final two years ago by Ballybunion,” Senator Burke said. “We looked like winning it at one stage and then it moved away from us but on this occasion, everything came together towards the end. Team captain Shane Quigley, a son of former FAI President Pat, added: “We just pull together. We believe in each other. We fight to the bitter end. Paddy Burke & Ray Prendergast beat Raymond Duffin & Eamon Rooney by 2 holes. 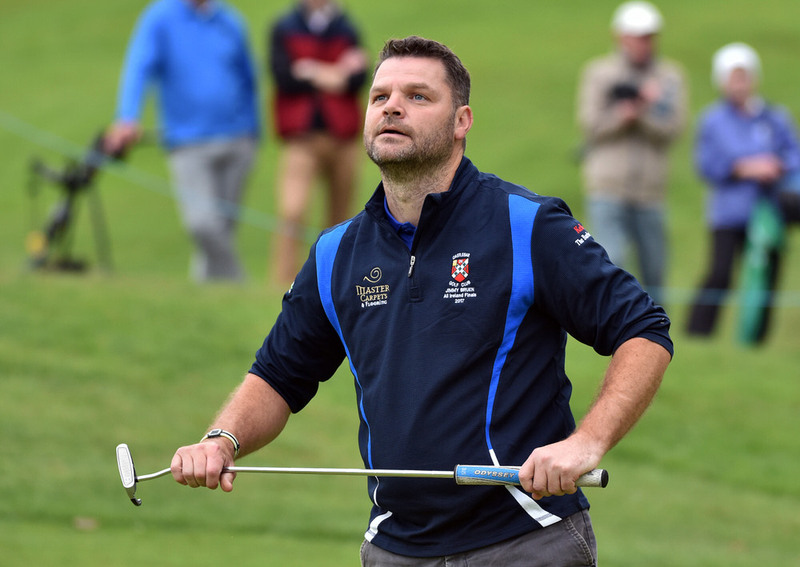 Maynooth University captured the AIG Senior Cup for the first time in the club’s history when Jake Whelan bravely holed a nine-foot putt on the 18th to give them a 3-2 win over Ulster champions Knock at Carton House.